Home » Shopping » LovingMinerals Sale, Free Clinique Foundation, Estee Lauder Blockbuster Kit… and Giveaway winner! LovingMinerals Sale, Free Clinique Foundation, Estee Lauder Blockbuster Kit… and Giveaway winner! I received my Everyday Minerals Long handled Kabuki brush yesterday and everyone’s gotten me so hyped about it, I can’t wait to wash it out so I can try it. I also got the Lumiere Cosmetics Cream Concealer to see how it fares and a brand new not yet seen online LovingMinerals long handled Kabuki brush! For September I Nuovi Cosmetics is offering a free D27 eyeshadow colour with US$50 purchase on their website + free shipping on all orders. Perfect for those who have no I Nuovi counters where you are. Apparently the Estee Lauder Blockbuster 2009 collection is out or will be out soon. RM220 with any RM230 purchase from Estee Lauder. Not so keen on the products but that red case is calling my name! See deets here. Finally, I know some people have Monday off – lucky lucky people! – so enjoy the long weekend and please… PLEASE don’t crowd the roads and malls in Kuala Lumpur on Monday k? 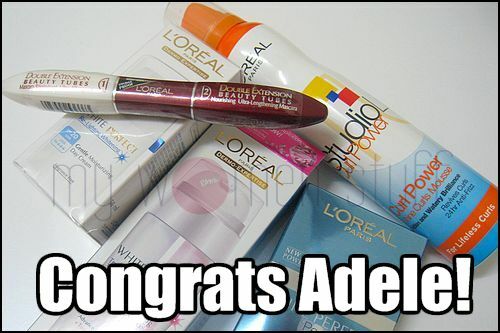 Oh..I’m not the winner..=p Congratzz to Adele! I will pick some time to go over Clinique too! I would soooo take that beach holiday with you, Ms B!! And thanks for the heads-up! Thank you PB for the lovely goodies! =D I’ll be splitting it with my mom who’s in need of some TLC as she’s been so stressed out lately. Hope the over-night work trip won’t tire you too much. 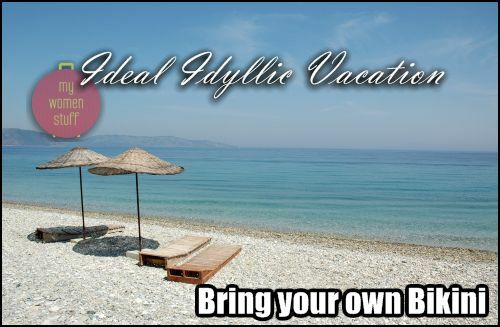 The beach resort holiday to rejuvenate sounds like a great idea! Congrats Adele! And you’re sweet to share with your Mom! I’ll be in touch. Thanks for the heads-up on the Loving Minerals sale. I’m keen to try out their foundation but is there a dealer in Penang who can let me try the stuff? I’m a bit phobic about buying online unless I can try it first!